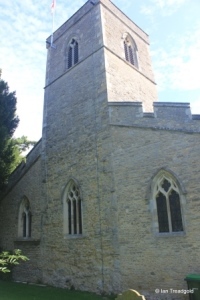 The church of St Mary the Virgin in Stevington is situated to the north of the village at the end of Church Road. Parking is available on Church Road outside the church. 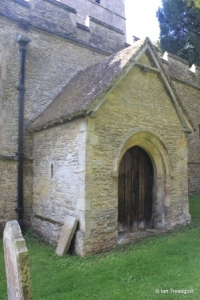 The origins of the church date back to Anglo-Saxon times and are tied to the Holy Well which springs from the rock on which the church is built. Whether the well was declared Holy because it sprang from under the church or the church was built to celebrate the well is unclear. The well is to the east of the church running towards the river Great Ouse. The original church probably consisted of a nave, chancel and small tower but the only remaining evidence is in the lower level of the tower. 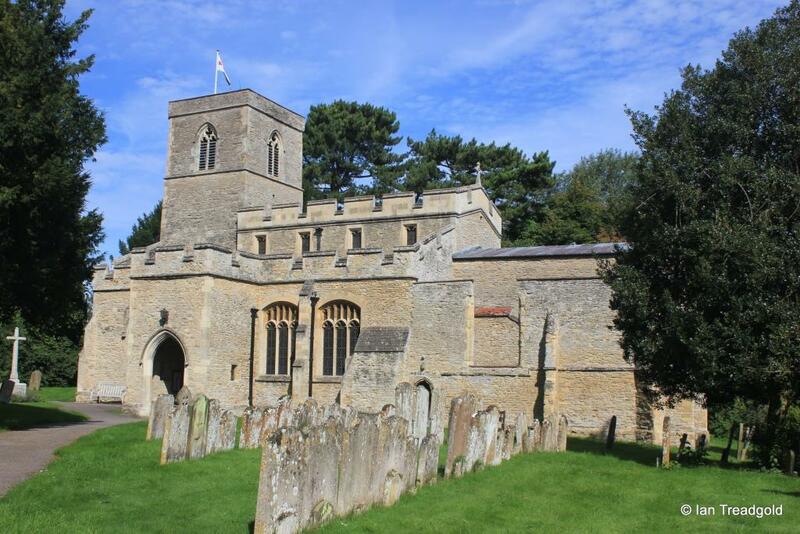 The church was rebuilt in C14 with aisles and chapels to the north and south of the chancel. In C15, the tower was heightened and the clerestory added over the nave. 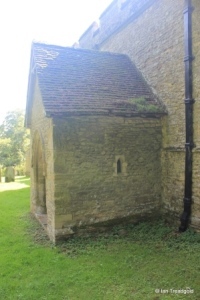 The aisles, in particular the two chapels, were in a state of disrepair in C17 and, whilst the aisles were repaired, the two chapels were left in ruins. 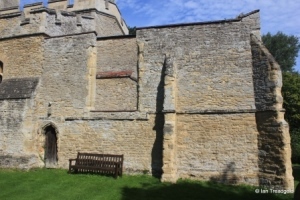 The church now consists of a nave, chancel, north and south aisles and porches, west tower and the two ruined chapels. 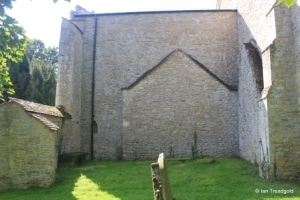 The nave is around 35 feet by 15 feet with the chancel adding around 26 feet. The north aisle is around 15 feet wide whilst the south is some 13 feet. 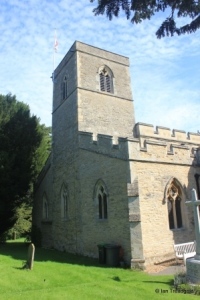 The tower is around 12 feet square and is overlapped by the aisles forming a complete west end the width of the church. The tower is some 61 feet high. 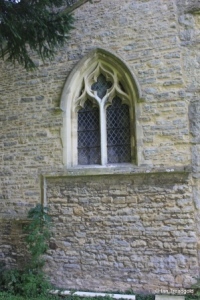 The south aisle, ignoring the ruined south chapel has two windows to the east of the porch, one to the west of the porch and a further window at the west end. 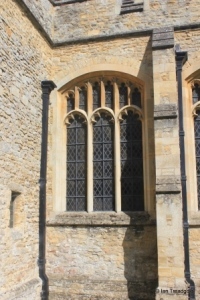 The eastern windows are the same, each of three cinquefoiled lights with perpendicular tracery and date from C19 restorations. 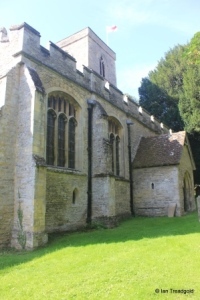 The south porch has a high roof rising to the height of the aisle with two small square headed windows to the east and west. 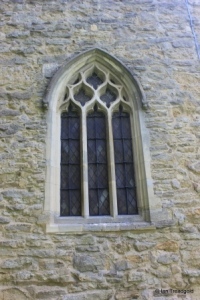 The western window is of two trefoiled lights with a quatrefoil design in the tracery under a two-centred arch. 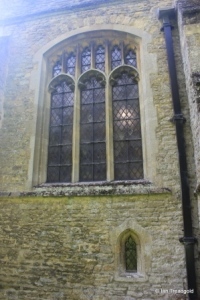 The west window of the aisle is the same as that to the south but has been restored more recently. 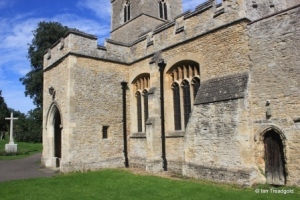 The aisles, south porch and clerestory all have embattled parapets and the clerestory has four single light trefoiled windows under square heads. 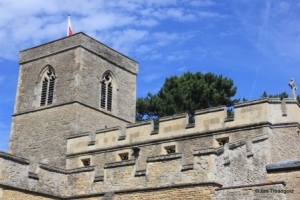 The original Saxon tower rises to around the height of the aisle roofs with the C15 work taking it to its current height. 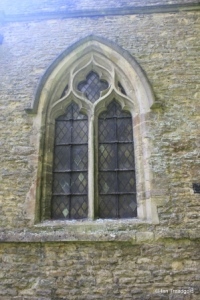 The west window is of three trefoiled lights with net tracery above under a pointed arch. 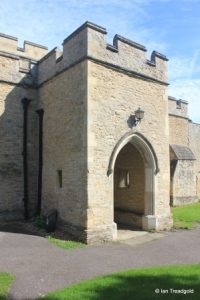 The belfry openings are of two trefoiled lights with a quatrefoil design above under two centred arches. 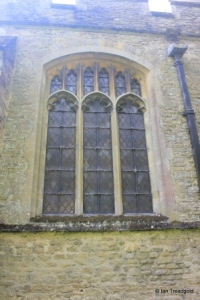 The north aisle, follows the window layout of the south; two to the east of the porch, one to the west and a west window. 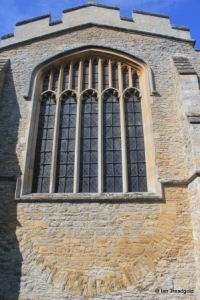 The west window in the north aisle is a foreshortened version of both the south aisle, west window and the western window of the north aisle. 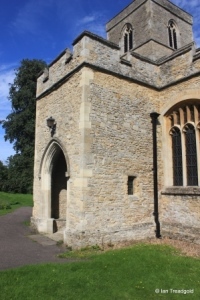 The north porch is now disused with small lancet openings to east and west under a gabled roof. 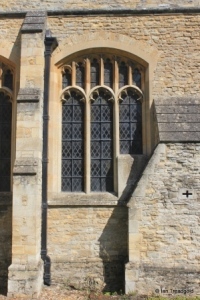 The remaining two windows to the east match their southern partners and below the eastern window is a small single light opening. 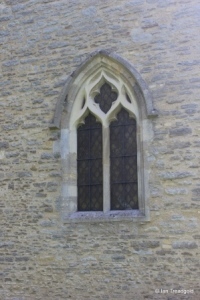 The east window of the church dates from the C19 restorations and is of five cinquefoiled lights with perpendicular tracery under a four-centred arch. 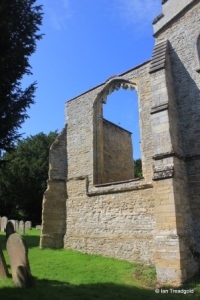 The ruined north chapel has lost its northern and eastern walls along with the roof and shows the blocked entrances to the aisle and chancel. There is also the remains of a piscina in the southern wall. 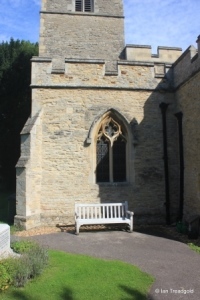 The southern chapel retains its outer walls and shell of its east window as well as the framing of a south window.